Picked Raspberry + Squeezed Lemonade = Raspberry Lemonade?? Supplies: Stamps – Hero Arts, Papertrey Ink, paper – Neenah Classic Crest Solar White, Stampin’ Up! Bermuda Bay, inks – Tim Holtz/Ranger Distress Oxide Ink Peacock Feathers, Picked Raspberry, Squeezed Lemonade, VersaFine Onyx Black, die – Taylored Expressions, embossing powder – Ranger Silver Pearl, organdy ribbon – Offray. 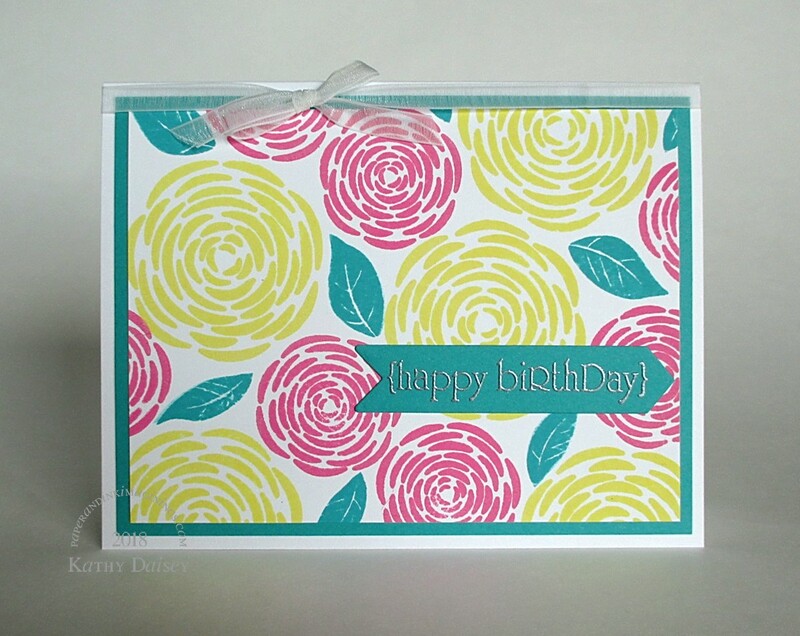 Categories: birthday, card | Tags: card, Hero Arts, Neenah, Offray, Papertrey Ink, Ranger, Stampin' Up!, Taylored Expressions, Tsukineko, VersaFine | Permalink. Thanks, Miss Hammie! Happy Friday to you!